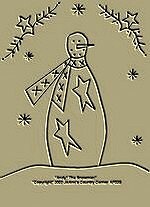 #A065 Primitive Stitchery Pattern "Bernie The Snowman!" 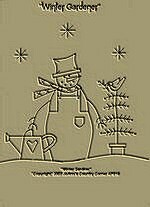 Primitive Stitchery Pattern "Bernie" The Snowman! #A072 Primitive Stitchery Pattern-Prim "Americana Welcome!" "Americana Welcome" AP036 Pattern measures 6 3/4" x 9 1/2". 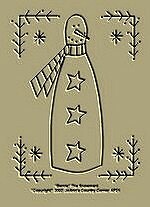 #A070 Primitive Stitchery Pattern-Prim "Americana Snowman"
"Americana Snowman" AP035 Pattern measures 7" x 7 1/4". #A071 Primitive Stitchery Pattern-Prim "Ernie" The Snowman! "Ernie" The Snowman! AP022 Pattern measures 6 1/2"x 8 1/2". 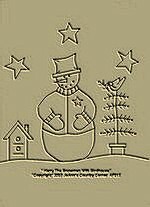 #A066 Primitive Stitchery Pattern "Andy" The Snowman! 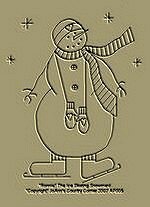 Primitive Stitchery Pattern "Andy" The Snowman! 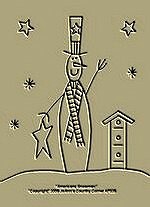 #A086 Primitive Stitchery Pattern-Prim Snowman Pattern " Star Light, Star Bright!" "Star Light, Star Bright!" 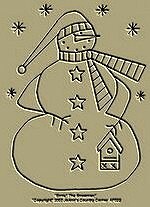 AP041 Primitive Stitchery Snowman Pattern measures 7 1/4" x 7 1/4". #A090 Primitive Stitchery Pattern, Prim Snowman Pattern " Bountiful Birdhouses!" "Bountiful Birdhouses!" 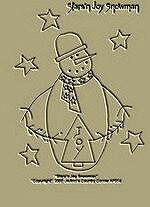 AP043 Primitive Stitchery Snowman Pattern measures 5 1/4"x 9 1/4". 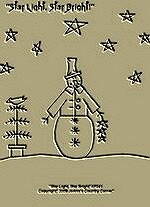 #A217 Primitive Stitchery Patterns " Snowmen Decorating Winter Trees!" 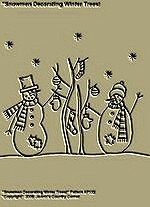 Primitive Stitchery Pattern "Snowmen Decorating Winter Trees!"